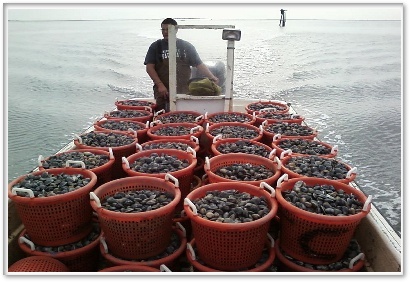 Our seaside brand clams are harvested as demand requires keeping them in our protected waters before quickly grading and shipping them to you. We can package little, middle or top neck clams in any combinations you request. Our Clams have a very distinct brine that is a direct result of our unique location in Little Machipongo's ocean inlet which is bordered by the undeveloped Virginia's Barrier Islands. 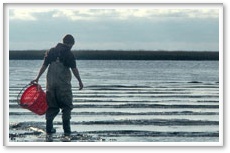 Our clams are protected by the Nature Conservancy's Virginia Coast Reserve. Our waters are monitored and certified safe by Virginia Department of Health. Dedicated crews leave Willis Wharf daily and travel north on the Seaside Rd, 8 miles to the town of Quinby. 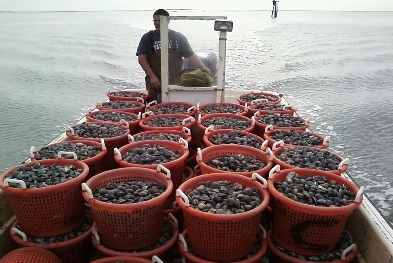 Once the boats and crew are ready to leave the harbor it is about a 7 mile boat ride towards the Atlantic Ocean to the mile and a half wide Little Machipongo Inlet, where our clams are able to be harvested year round. 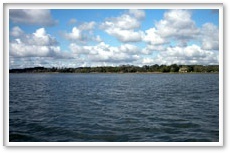 Harvest areas are nestled in the center an internationally recognized nature biosphere. 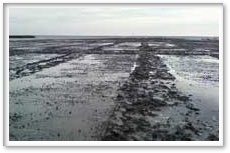 Water quality is an important factor in growing clams because they can accumulate pollutants especially after heavy rains in populated areas causing a harvest restriction. Our grow out location is unique to the East Coast. Only local perennial streams flow into the remote seaside estuaries with little impact from the sparsely populated shore.